Jim bao Today with ©opyright on all pictu®es and text: "Secular Jewishness" - Korczak´s Jewishness is what it is and I am not going to try to define it. 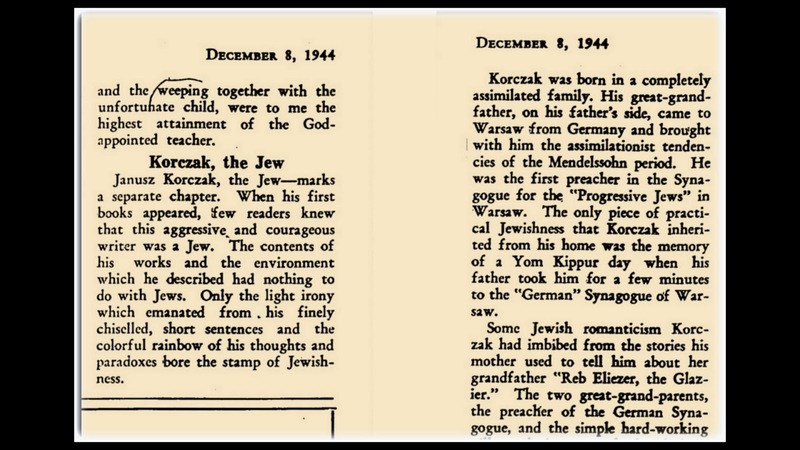 "Secular Jewishness" - Korczak´s Jewishness is what it is and I am not going to try to define it. 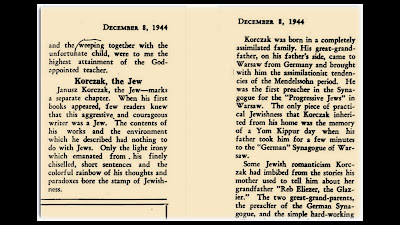 Yerachmiel Wajngarten, the author of this article knew Korczak very well. Jewishness is kind of translation from Yiddish word ייִדישקײט yidishkayt, which corresponds to ethnic or cultural Jewishness as well as Judaism as a religion. "Jewishness is passed down by the mother....". "Practical Jewishness" that is mentioned in this translated article from 1944 (1942) seems to mean the direct connection with the religious practice. Therefore also old Mendelssohn is mentioned as a father of new religious practice. "A velt in flamen, milkhome iberlebungen"
("The World in Flames. The War Experience") that was published in Montreal as early as in 1942 and printed with the financial help of a group of the author’s friends from New York.